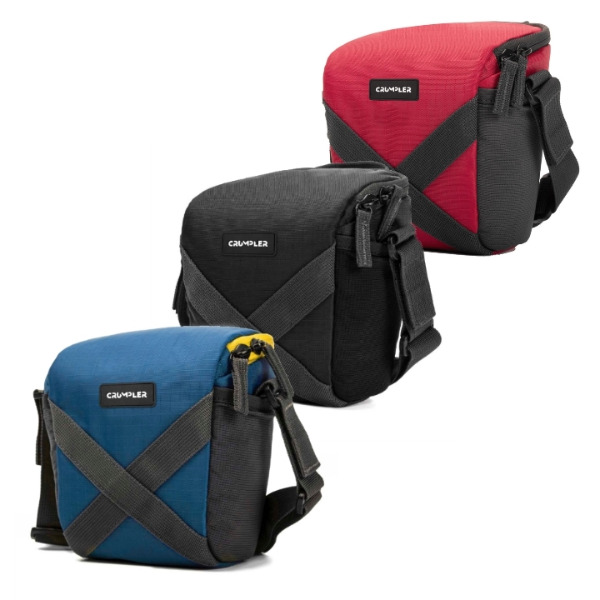 Store, transport, and protect your small DSLR/mirrorless camera with the sailor blue Quick Delight Toploader 150 Camera Bag from Crumpler. Under the lid is a clear-mesh pocket for memory cards and such. Dual side pockets provide room for additional items. The bag features zipper closure, a handy rear belt loop, top handle, and a removable shoulder strap.